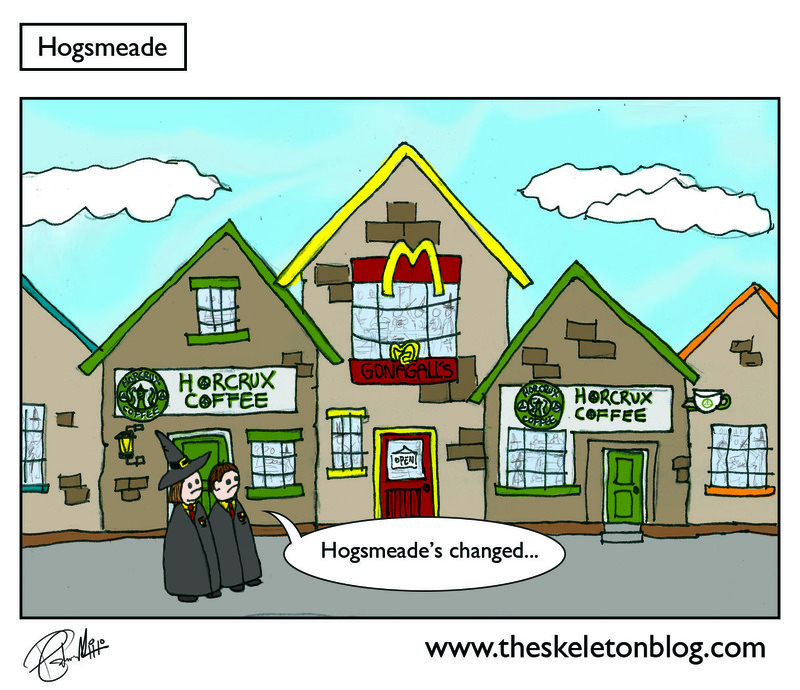 Harry Potter's world has changed since the movies became a hit. 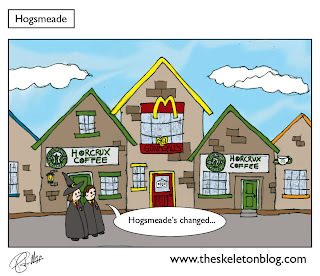 It's now all commercial and filled with fast food resteraunts and coffee houses, luckily Harry loves fast food and coffee so he's not bothered. My favorite bit in the movies was when Harry Potter had to go and see Gandalf in the headmaster's office with all the other hobbits and they discussed whether to make The Hobbit into 2 movies or 3. Here's a little insight as to Harry Potter's contribution to the world of 'The League of Extraordinary Gentlemen' just for the luls. There's a nice little picture of Hogswarts burnt to the ground and a burnt out Thomas the Tank Engine too.